Sooner after, Swiss headliners November-7 came on in a spectacle of lights, going straight into the crunchy, driving tones of Acid Life which truly got the ground trembling creating a dark energy that filled the room. 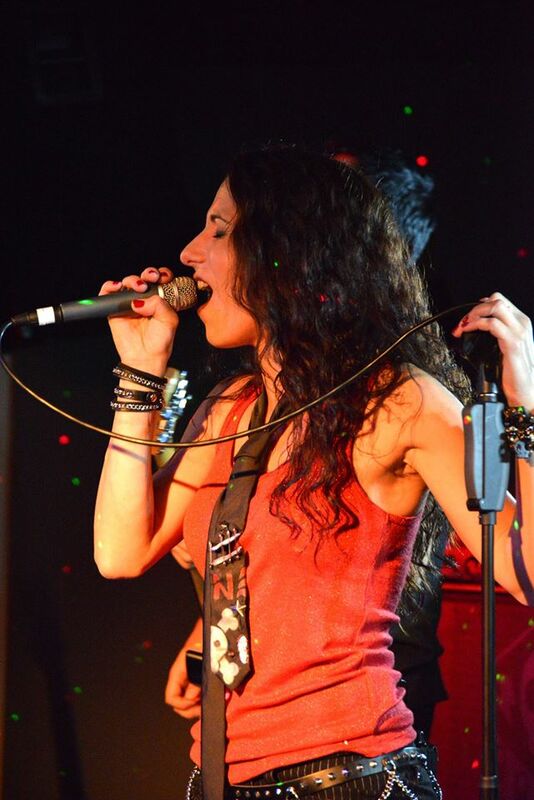 Their whole performance was very ballsy and the band really took on their own brand of ‘energizing metal therapy’, with vocalist Annamaria Cozza captivating the audience using her incredible never-ending energy. It was wonderful to watch as she jumped and bounced around, head banging along to the music. Her energy continued to astound me as she alternated between delivering lengthy, powerful notes and jumping up on the drum kit and head banging wildly. It was great to hear how much the band has progressed since their first album Season 3, as they powered through some of their first songs: In My Mind, Her Name and Angel. 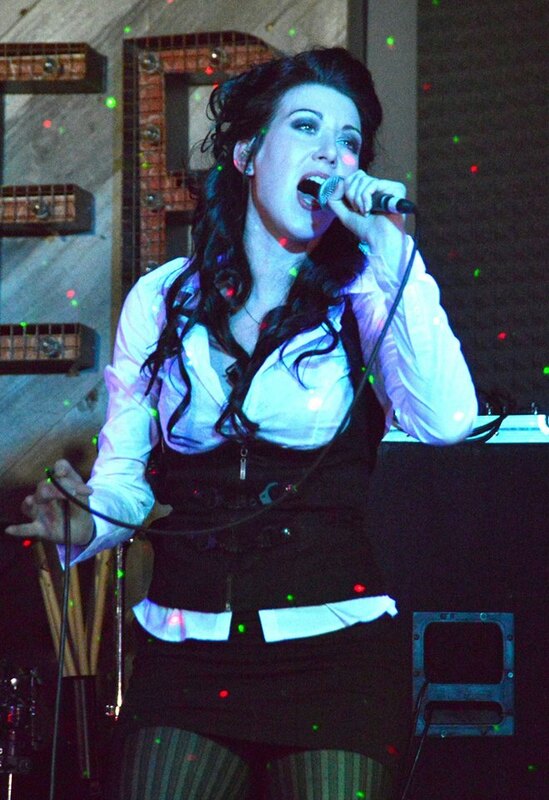 Annamaria’s vocals continued to wow me, as she fearlessly and flawlessly hit every low and even the occasional highs. Her emotive delivery of Alive? sent chills down my spine and when a few songs later the band plunged into another of my favourites – Tug Of War – the room shook under the thundering drums. Nine songs into their set the band did not seem to be slowing down. Another highlight of the band’s set was when they played their first single Parasite and followed it up with their latest single Another Day. The melodic elements helped balance out the atmosphere bringing something light amongst the stomping bass lines. November-7’s addition of lab coats for the performance of Another Day and the cry of “free drugs!” brought a few laughs as Annamaria tossed boxes of ‘Awaraxid 7mg’ (from the band’s album of the same title – hey it’s energizing metal therapy after all!!) into the crowd.